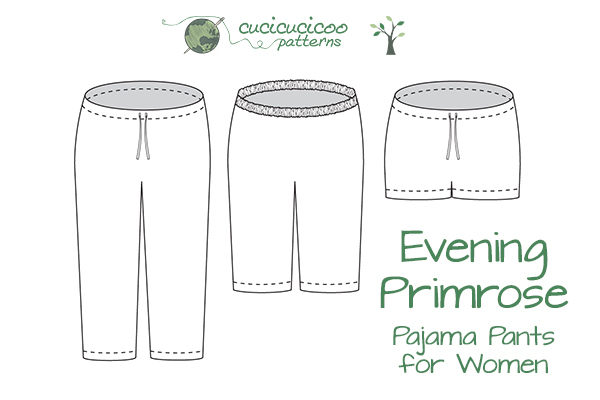 This pattern is the most versatile PJ pants pattern I’ve ever seen. It has 11 sizes and three lengths, so you can make them for any season of the year just by changing length and fabric. 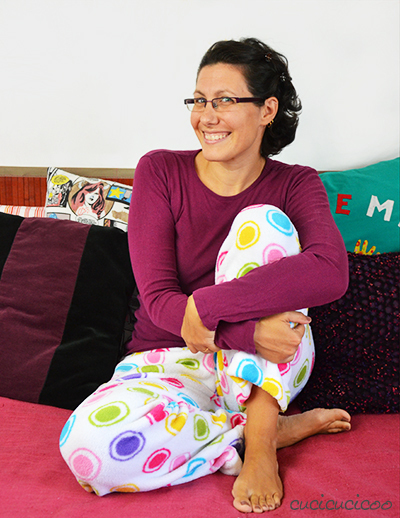 Here you can see Evening Primrose pants in snuggle fleece, which feel like wearing a blanket. 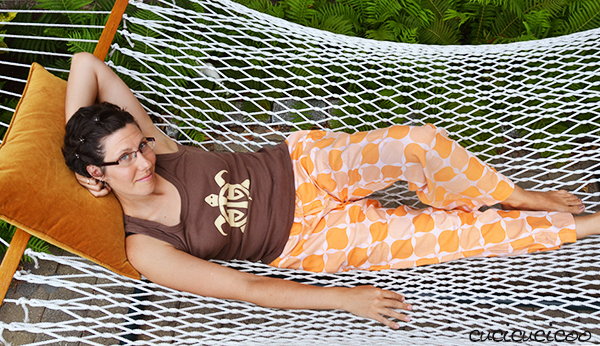 Here, on the other hand, are crisp and cool Evening Primrose pajama shorts, perfect for hot summer nights. The Evening Primrose pattern is upcycling-friendly, as you can easily sew them from repurposed sheets, duvet covers, tablecloths or curtains. You can even reuse the hems from the original items! 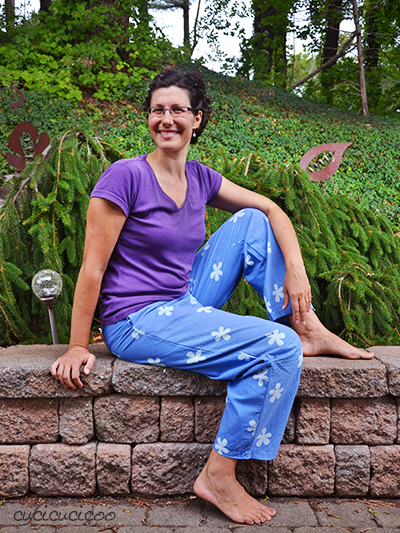 These Evening Primrose capri (3/4) and pants length PJs were sewn from thrifted bedsheets. I love pockets, and these ones are hidden in the side seams so you won’t even notice them unless you have your hands in them! 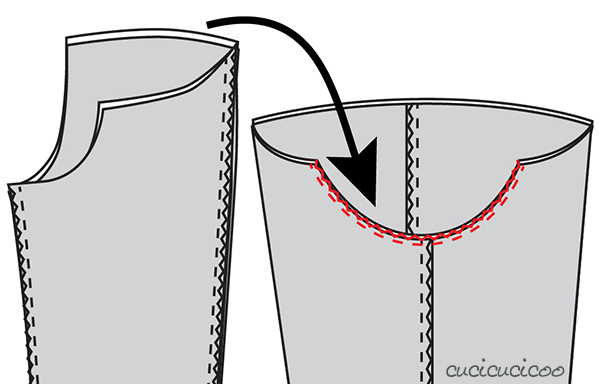 No problem if pockets aren’t your thing; instructions are provided for PJs without pockets! You can also choose between an elastic or drawstring waistband. 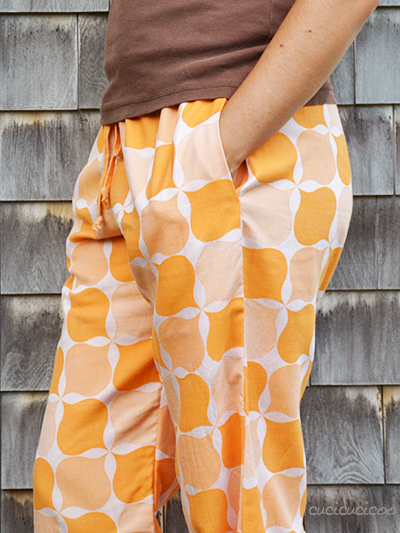 The pants above (made from another repurposed duvet cover) have a drawstring. And, because I know that a lot of people really don’t like printing patterns at home and assembling themselves, I’ve included an extra pattern file for printing on 36″ (90 cm) wide paper in a copy shop. 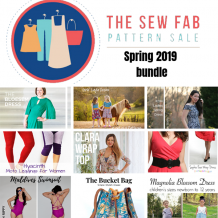 That way you can spend less time on preparing the pattern, and more time relaxing after you’ve sewn it! The step-by-step instructions are illustrated with professional line-drawings, like the one above. These pants are named after the Evening Primrose, a yellow flower that stays closed all day long, opening suddenly all at once in the evening. The bloom stays open all night, and closes again in the morning. 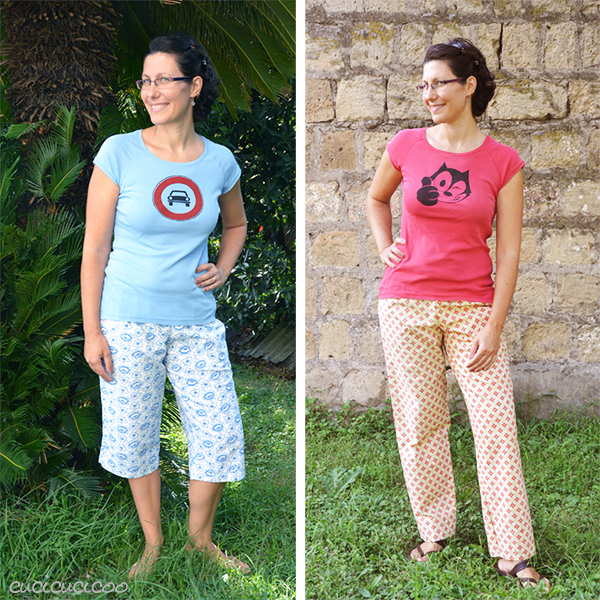 These pajama pants are used in a similar way: hidden away in a drawer all day, taken out and appreciated in the evening and night, and put away again the next morning! But don’t let the name fool you; the Evening Primrose pajama pants are so comfortable that you’ll want to wear them all day long! 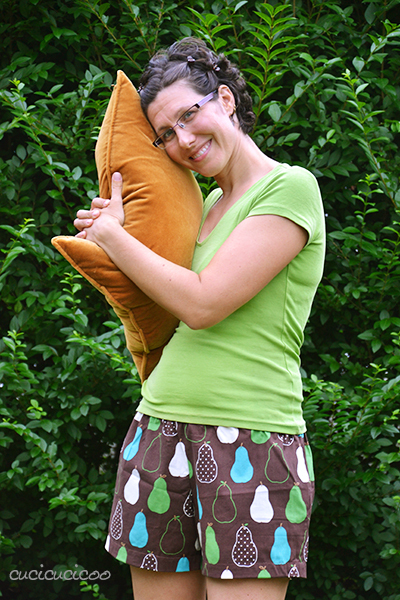 So grab up your copy of this pattern now, and I’ll be awaiting your news of how much you love these pajama pants!